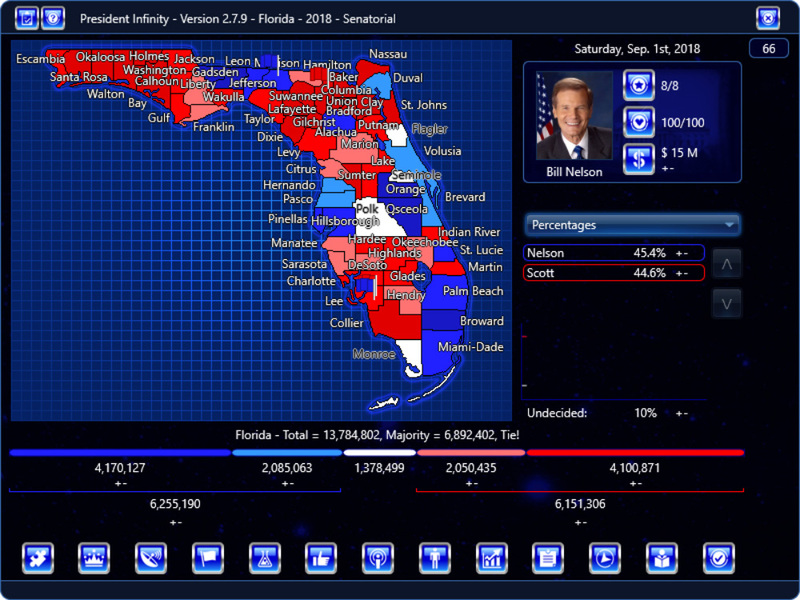 From the previous sneak-peek, this update improves computer player strategies for direct popular vote, improves computer players for making ads, fixes a bug with saving-loading-saving, fixes a bug with starting funds in certain situations, makes a few modifications to Florida – 2018 – Senatorial, fixes a bug with Sim mode and direct pop. vote, and adds a Fundraising coefficient to the Editor. Works now – thanks for this. You can use direct popular vote in the general and have primaries, and a given primary can have proportional representation in its seats, but you can’t have a convention that just uses direct popular vote instead of primaries.